*PLUS the price of (1) recharge voucher for 1GB data ($49). 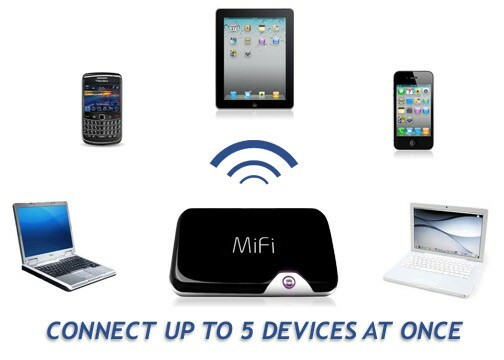 The MiFi allows you to create your own virtual hotspot and, with this hotspot, you can connect up to five devices or users at one time. Our China mobile broadband MiFi device comes preconfigured and ready to go. Once you arrive in China, simply turn on the MiFi and you will have an instant hotspot. You can even use your service to access to make international and local calls through Skype or similar voice over IP services. Our Wireless broadband rental for China is the perfect solution for accessing the internet any time and any place you desire while in China for an affordable price. As the service is prepaid, you will never get "bill shock" and you know up front exactly what your costs are. The rental includes a pre-configured MiFi mobile hotspot modem as well as a pre-installed China Mobile SIM card. Mobile broadband coverage in China with China Mobile, the largest carrier in the world, is excellent and speeds are up to 7.2 Mbps.